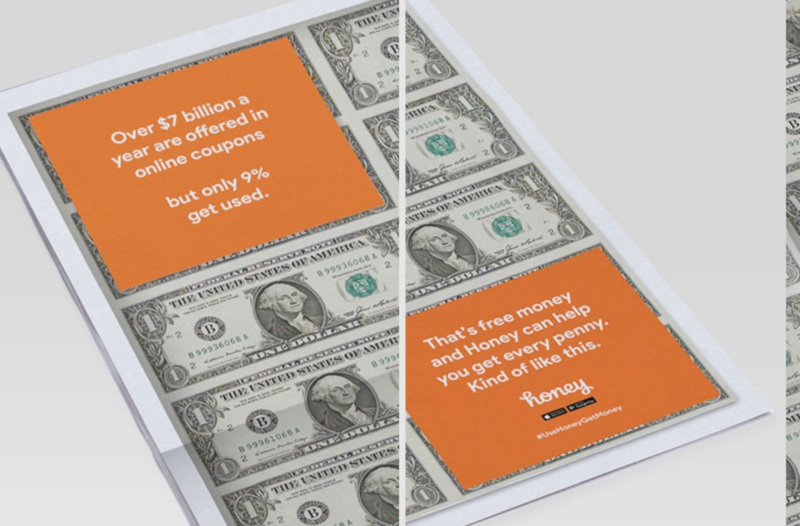 Honey is a browser plug-in and app that scours the internet for coupon codes to save you time and money at the checkout. Insight: In 2017, brands offered over 7 Billion dollars in online coupons but only 9% were used. Strategy: Honey provides equal opportunity to save time and money in a simple, delightful experience. Concept: The internet is full of money. Honey is the resource to find every money saving opportunity. Launch the campaign with an attention grabbing stunt. 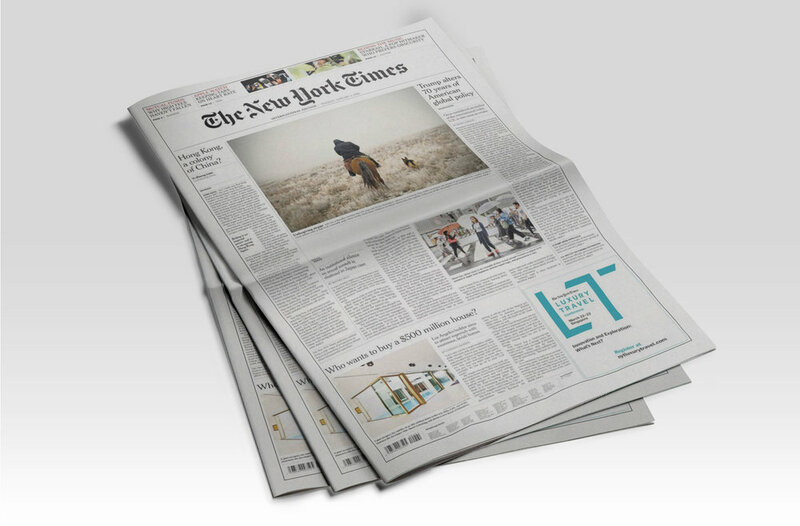 Place an uncut sheet of bills in The New York Times from a well-placed newsstand to turn people on to the resource that is Honey. *Fun fact: Uncut bills are legal US tinder which can be cut and used as currency. Share the wealth. And the shock, awe, and delight. 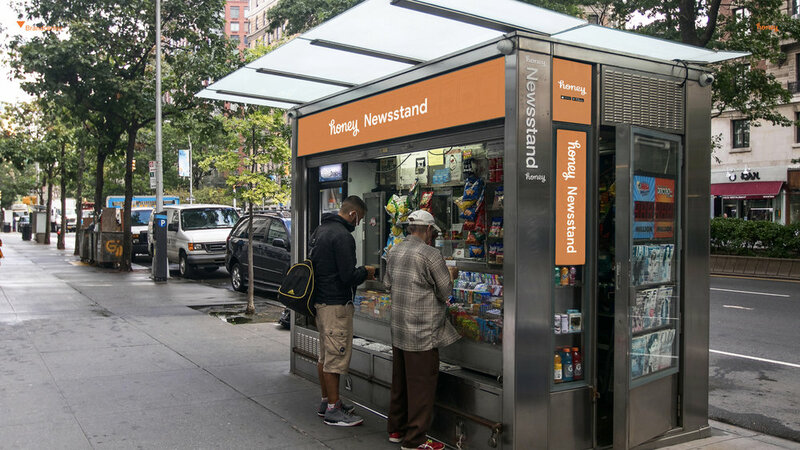 Volley the newspaper stunt with more chances to surprise people with the Honey brand and how they can benefit from the resource. App launch with a surprise scavenger hunt. 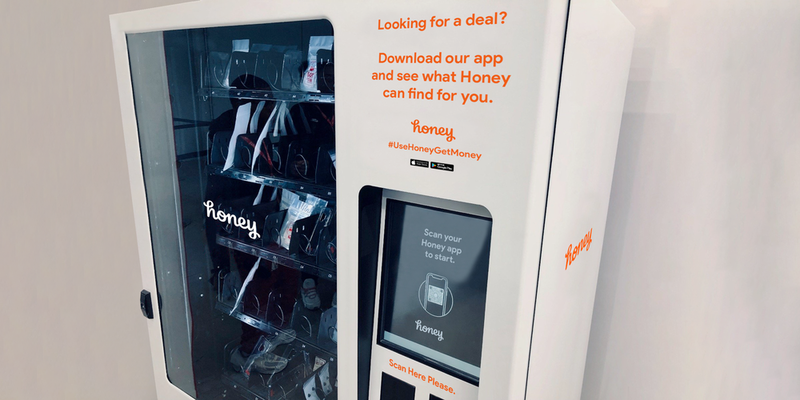 Strategically placed vending machines dispensing loot vouchers and coordinates for those bold enough to download the app and trust Honey to do deliver the goods at a pop-up Honey boutique. Ideas made of money but easy on budget. Each of our ideas were designed for deployment by guerrilla/street teams to satisfy the client’s desire to keep production costs low and generate earned media from the non-traditional nature of the executions. 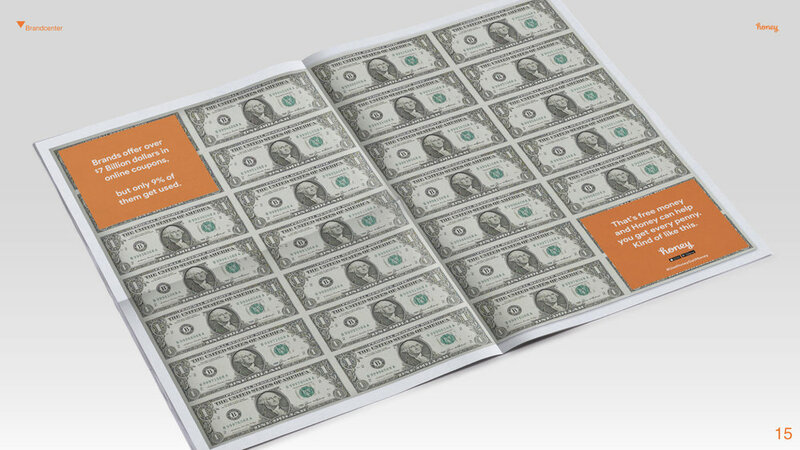 An real, dollar bill mockup for our client (not a bribe).